If batteries are 95% efficient, and therefore hardly generate any heat, why do they sometimes suffer from overheating and shortened lifetime? 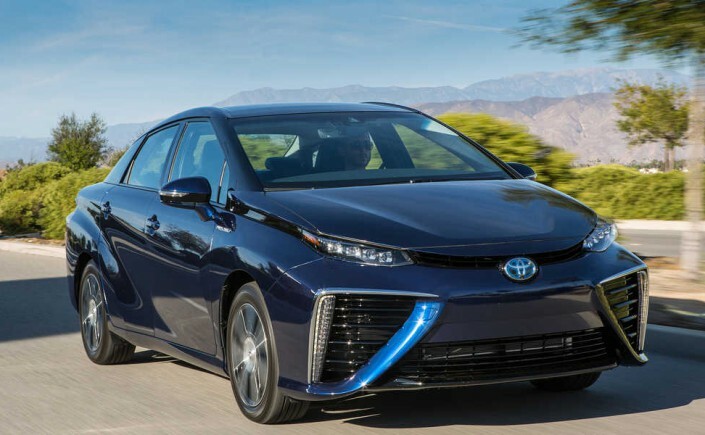 And why do fuel cell cars like the Toyota Mirai (pictured above) have such huge radiator grills? To explain these questions we’ll take a very simple look at efficiency and heat transfer. To a scientist “efficient” is basically synonymous with “doesn’t produce much waste heat”, and all waste heat needs to be sent into the environment (rejected) to avoid overheating. Let’s use cars as an example. The following graph compares three hypothetical vehicles, each of them delivering the same 100 kW (133 hp) of brake power. The combustion engine requires the input of 500 kW of gasoline chemical energy, converts 20% of it to mechanical power, and loses the other 80% as waste heat. The battery vehicle uses about 118 kW of battery chemical energy to deliver the same 100 kW brake power, so it only needs to get rid of 18 kW of heat. 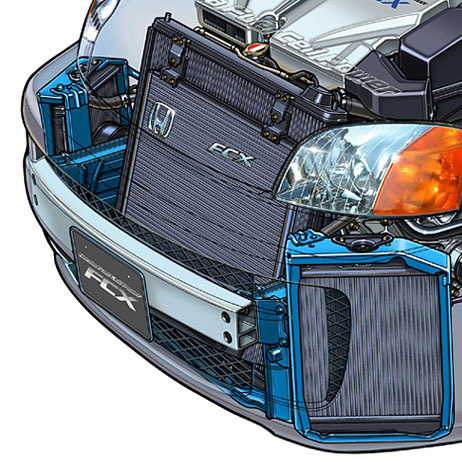 A fuel cell system is about 50% efficient so rejects 100 kW of heat. Why does the battery vehicle have any heat issues if its produces so few kilowatts of waste heat? The reason has to do with the fact lithium-ion batteries have a relatively narrow operating range. While combustion engines can handle temperatures from -30°C to 110°C, and fuel cells about -20°C to 80°C, Li-ion batteries should not be run hotter than 55°C. Higher temperatures shorten battery life and reduce performance. Fuel cells have the same issue – only 100 kW of waste heat, but it needs to be rejected across a 40°C temperature difference, which is why fuel cell cars have such large radiators and air intakes despite having only a quarter of the waste heat of a combustion engine. (And that’s why a lot of work goes into developing special radiators and higher-temperature fuel cells). Bonus chart – same data as above but in a single graph. The area of each circle is proportional to waste heat.